This adjustable study table is best suited for students and workaholics who work on the laptop 24 X 7, as its flexible design option offers several configurations. You can easily swivel this study table on its castor wheels that function smoothly to make its corners long or narrow-depending on the space available. With a mix of open and closed storage offers, the study table gives you plenty of room to store books, files, stationery and more. Another special feature of the study table is its glass tabletop, which can also function as a whiteboard. This study desk is made from engineered wood (MDF). For a simple and affordable option, this wooden study table in honey colour would be perfect. 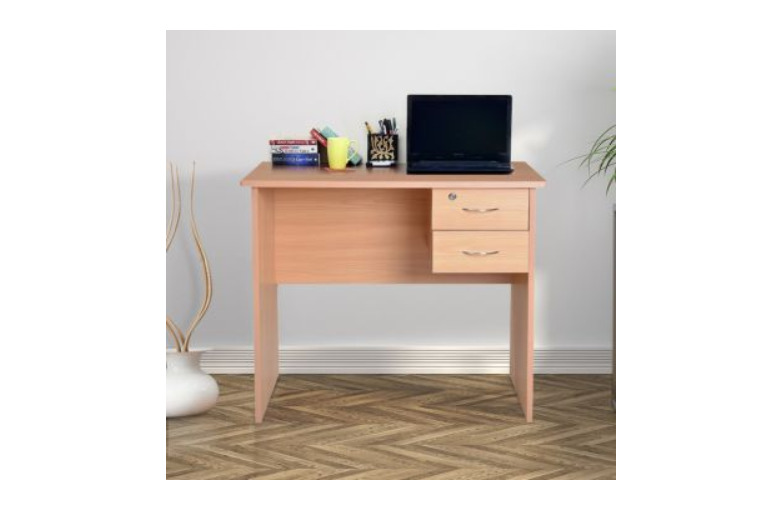 Ideal for a small space, this study table comes with two drawers for storage. With its honey-coloured finish, this study table will seamlessly fit into a decor that is classic and is built around wooden accents. This study table in a dark finish combines the functions of a desk as well as a bookshelf and the design will add to a contemporary home decor. A closed shelf with an accent door adds an interesting touch to this study table. This contemporary design study unit is multipurpose and will surely enhance the interiors of any living space. The study table has ample space on the table top for you to work with comfort. The drawer and cabinet help you to reduce clutter by providing storage. Combining Accacia wood and metal finishes, this sleek study table is for young inhabitants and designers who prefer aesthetics and design details over anything else. The pencil-thin stand of this study table gives an unobstructed view of the floor, giving decorators an opportunity to experiment with rugs and carpets. The bright burst of colour on the central drawer makes this study table a must-have for artists. This white study table is synonymous with the current trends of furniture design that reflect the design philosophy of form following function. These designs represent the ideals of cutting excess, practicality and an absence of decoration; making this study table visually light and minimal. Ideal for home with the theme of modern minimalist, this open study table will provide an unobstructed view when placed next to a window. 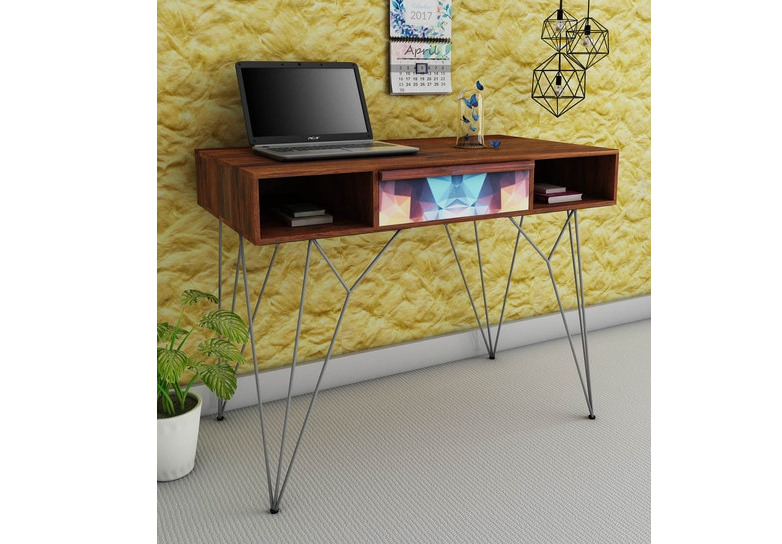 Buy this study table in case you are looking for a simple yet urban design. With storage options available on both sides that are also decorative, this Indian inspired wooden study table is ideal for a home with a running theme of Indian artefacts. 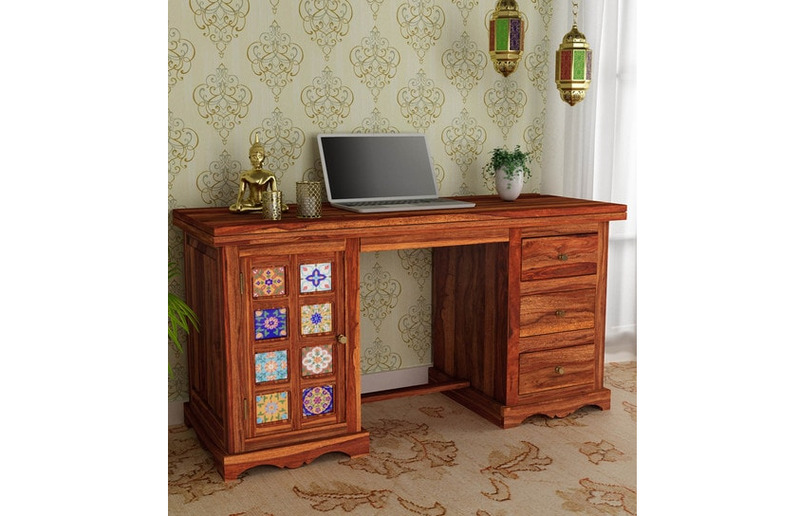 With its special attention to details and intricate ethnic connotations, this desk will stand the test of time while also filling you with nostalgia. This ethnic study table is ideal for a home with a dedicated study room. Crafted in natural teak, this formal study table would suit individuals with a taste for traditional finishes. 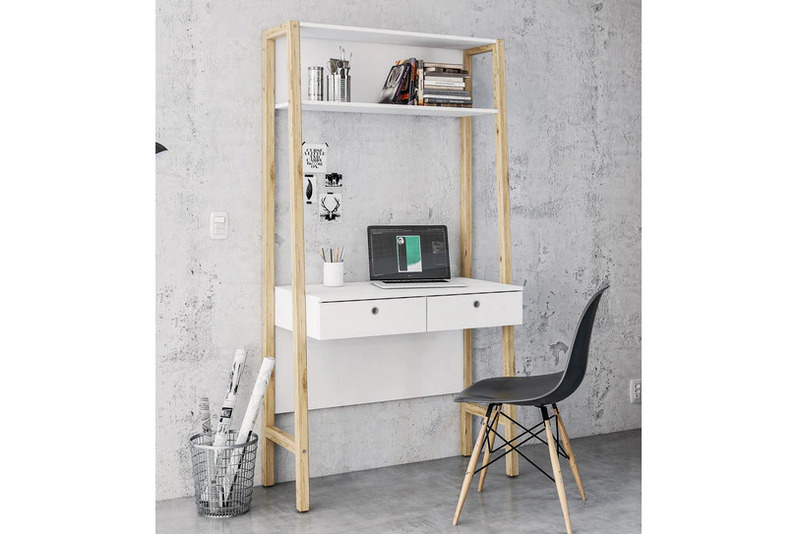 With its contrasting detail at joints, this study table comes with an optional reading or tab pad helping in making the work process easy and comfortable. The storage drawers in this study table are specifically designed for office stationery which will satisfy every individual-be it a high-profile corporate or a work-from-home writer.